Barça Lassa's great win against Brose Bamberg (81-66) in the Palau gives them options to still reach the top eight places of the Euroleague. Orihuela (12 points), Heurtel (15) and Sanders (17) helped assure victory on the 19th Matchday of the championship. The match began with only two baskets in the first three and a half minutes (2-2), before Moerman and Hanga pushed the score along in favour of the Blaugrana, the first quarter eventually ending 18-15. Two triples from the visitors were countered by five consecutive points from Oriola, as the game ebbed and flowed in the second period. Towards half time, Sito Alonso’s side turned the screw again and led by 10 at the break (44-34). Safe in defence and inspired in attack, Barça were looking comfortable until a spectacular triple from Nikolic and a basket on the buzzer saw the visitors close the deficit to three at the end of the third period. 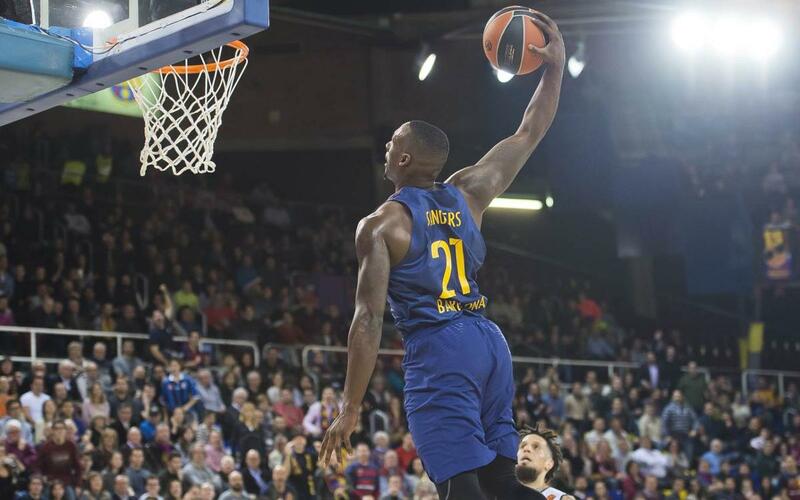 Despite the Blaugrana starting the final period well, Brose Bamberg responded (67-66), but that in turn sparked the hosts back into life again. Fourteen unanswered points later, and not allowing their opponents to score in the last three minutes, saw Barça Lassa home by a 15-point margin (81-66). The culers will close the week on Sunday with a visit to Andorra.